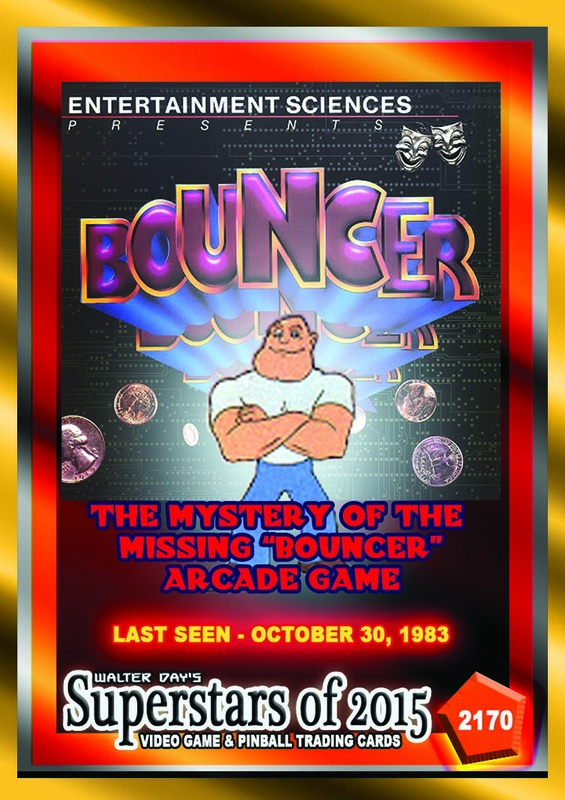 Around 2012, it was brought to the author’s attention that the game Bouncer disappeared off the coin-op map in late 1983. 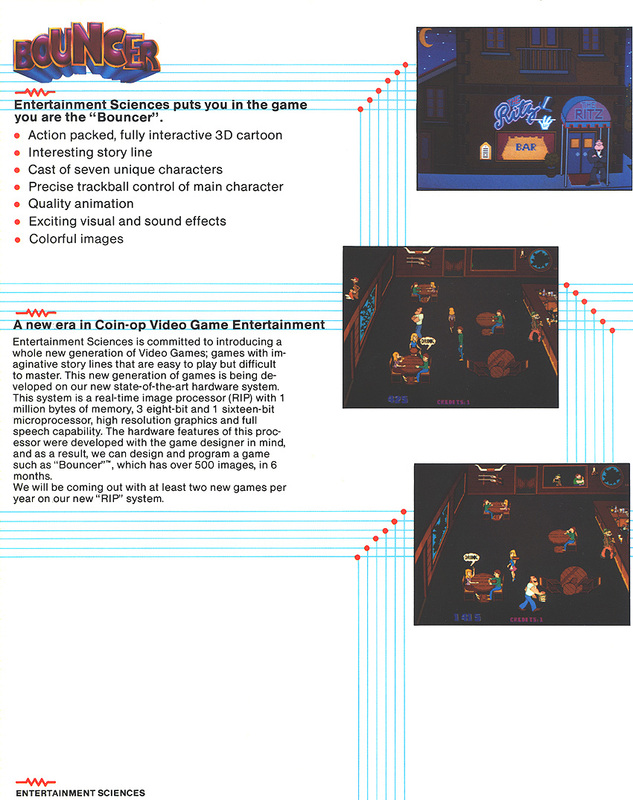 No known examples of the game have surfaced, hence the game code has never been emulated in MAME for enthusiasts and game historians. 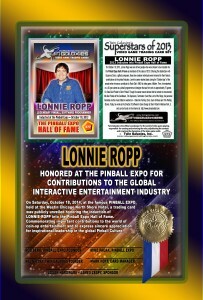 It was designed by Rob Patton (Cinematronics history) and Lonnie Ropp (Rock-Ola history). 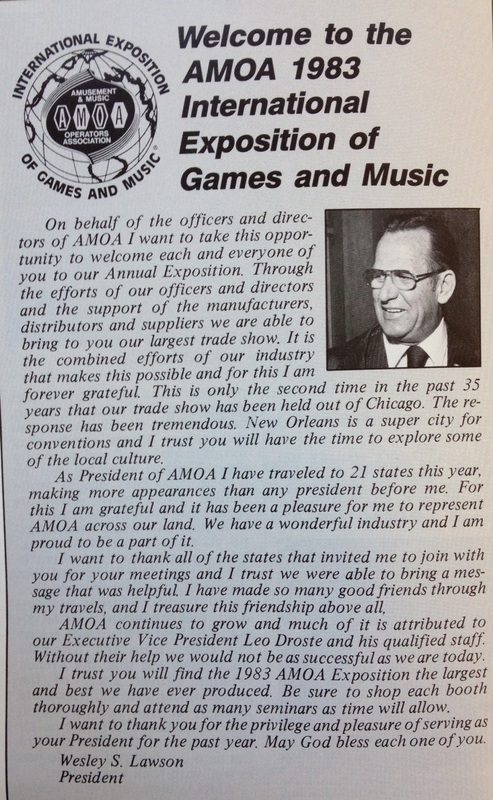 Interestingly, the U.S. National Video Game Team was in attendance at the only “Industry Trade Show” where this game was physically displayed for live play. 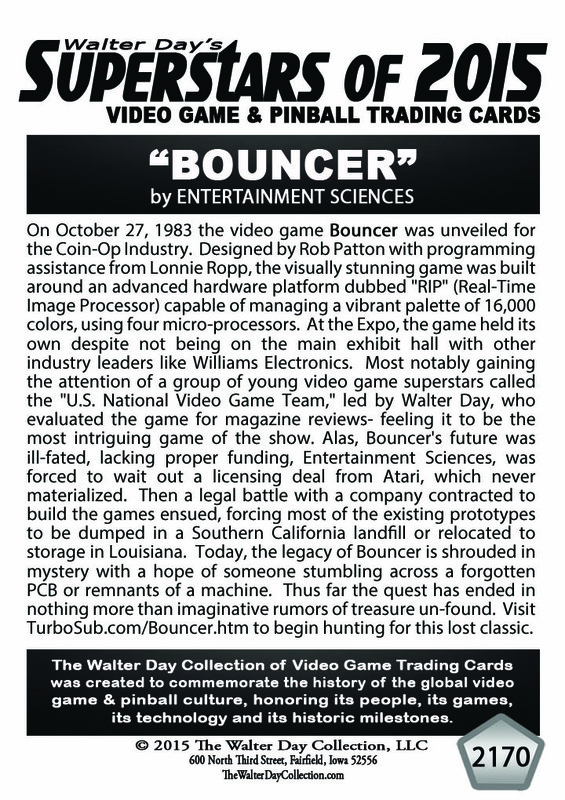 Walter Day of Twin Galaxies arcade attended the event with a group of young video game players, all under the guise of being Press. 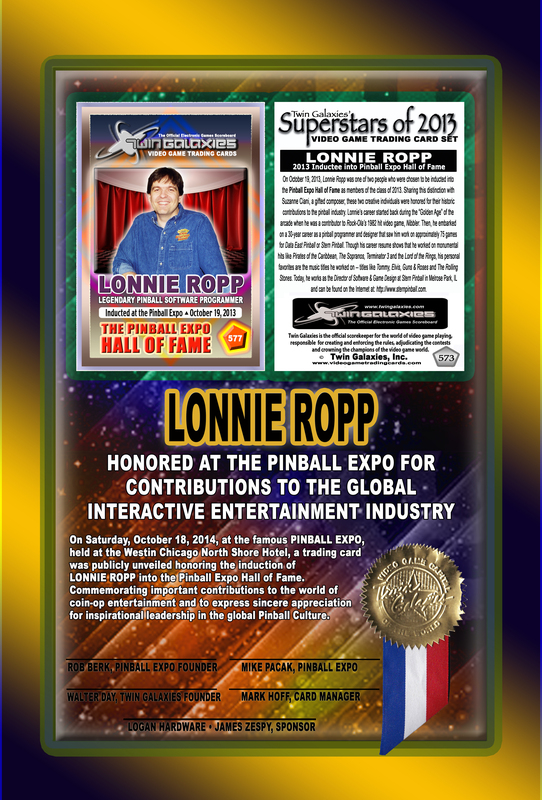 Effectively, this means the list of persons below are among a very small list of dedicated video game players who ever played the game, (other than the original test location players) before it disappeared from the historical landscape of the arcade business. Late 1983 also marks the official downturn of the Video Arcade Game market, as the industry was trying to transition to Laser Disc technology which was very expensive and technically unstable. 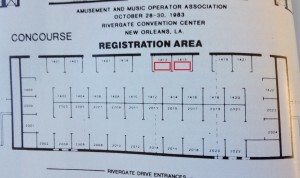 The game was debuted at the October, 1983 AMOA Expo in New Orleans, Louisiana. 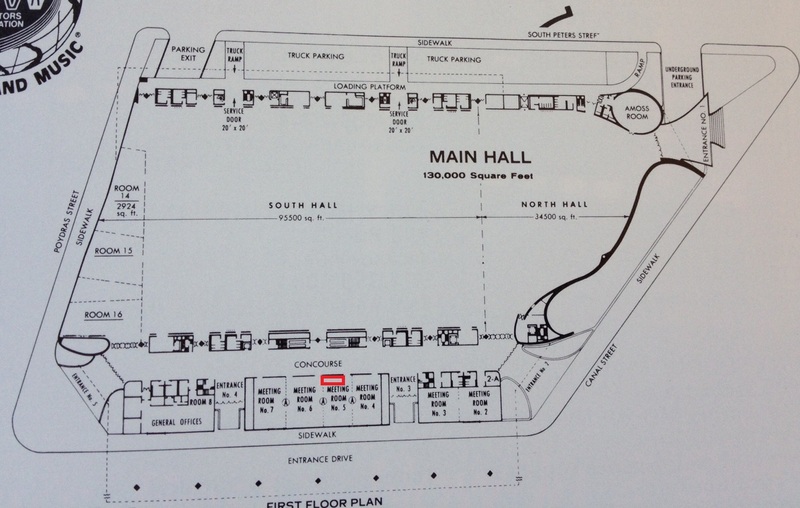 According to the Replay magazine given out at the show, the address for Entertainment Sciences is shown below. Exhibit booth’s 1413 and 1415 were used for the company’s display, including upright and cocktail machines. As I write this I don’t recall any SWAG other than a glossy sales/marketing hand-out of game specs. 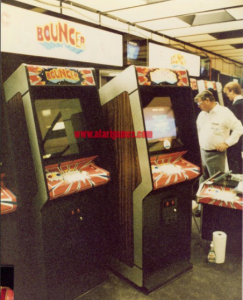 As you can see in the below images, the game was real and not a myth. 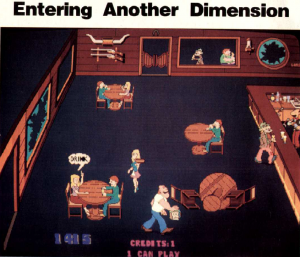 Author’s summary- Although the game was notable for the sprite style graphics which were just becoming prevalent (think of other games like Popeye or Tapper), the gameplay was not revolutionary from a player’s perspective. 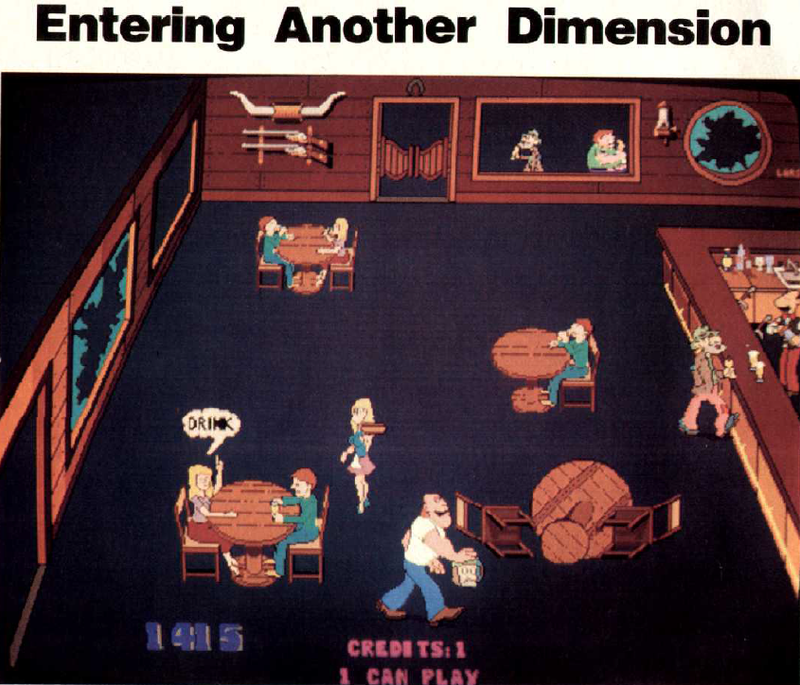 Novel, yes as we all talked about the game and compared notes, but definitely not on par with ground breaking points in the history of gameplay (think Space Invaders, Pac Man, Berzerk, Dragon’s Lair, etc). 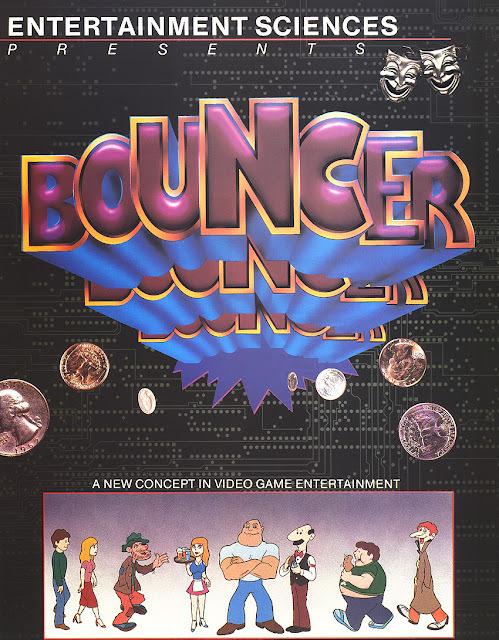 Steve Harris who submitted the formal reviews for magazines, at the time was personally immersed in the game Popeye which may have helped him find an affinity in the sprites of Bouncer. 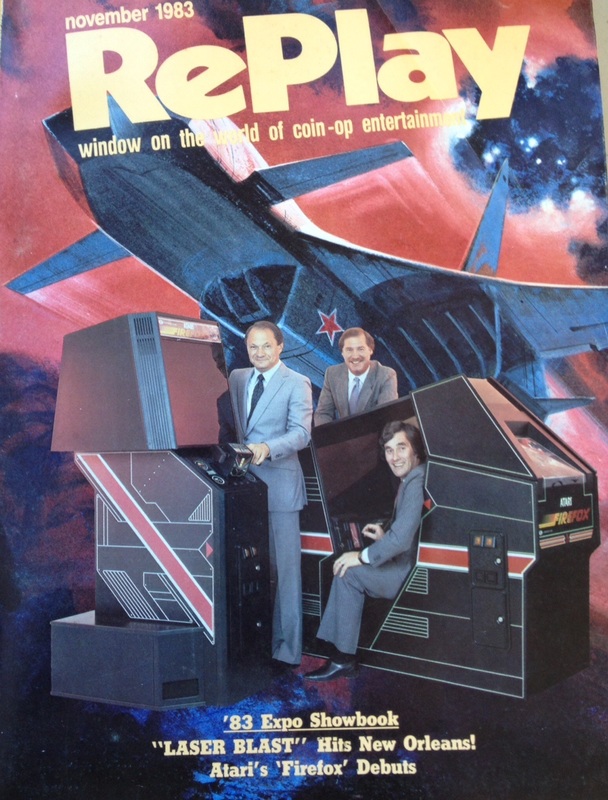 On a tragic side-note- The man on the front of Replay was the VP of Marketing at Atari, Don Osborne. 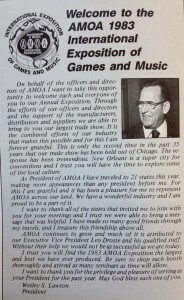 He was a very well-spoken and charismatic fellow, who took the time to invite the US Video Game team and Walter Day to dinner in the French Quarter on Saturday night, Oct. 29th, 1983. 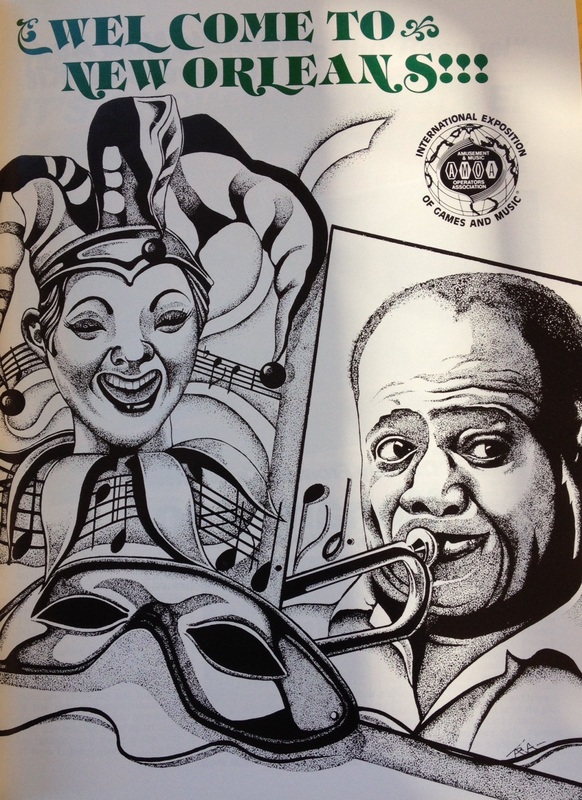 He also would have been the contact point for vouching for Bouncer’s success at the AMOA show. 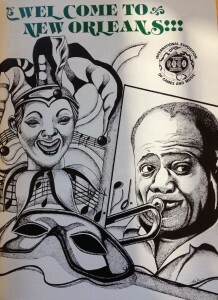 Unfortunately he passed away from a heart-attack not long after the AMOA show. 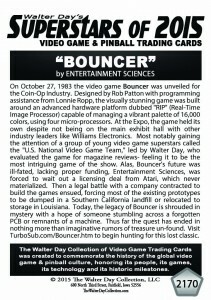 It could well be the link to why Bouncer’s licensing never came to be with Atari. 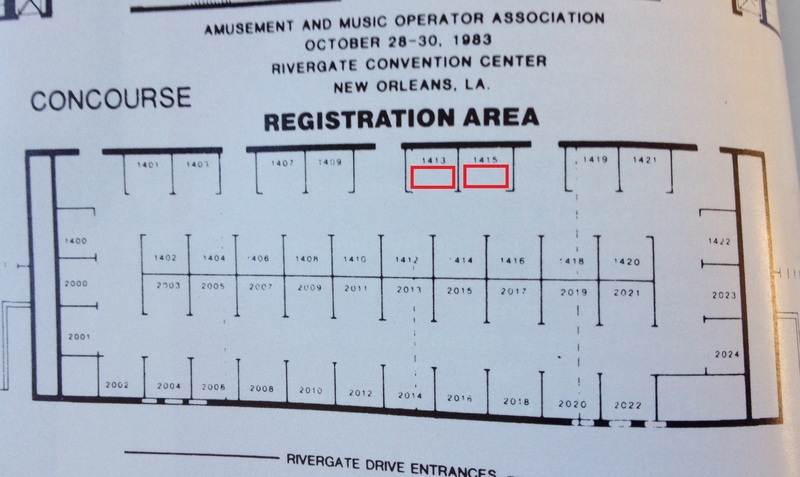 Hopefully these bread crumbs of historical detail helps someone out there on the path to locating one of these old forgotten machines, which HOPEFULLY one exists in a forgotten storage garage back-area.